Traditional psychotherapy addresses thinking and emotional aspects of the psyche, but tends not to focus on the direct experience of living in a physical body. This is in spite of the fact that our awareness is always filtered through our senses and our physiology. Many experiences do not make sense intellectually until we have reached a greater bodily awareness; then the thoughts and emotions of the experience can be integrated into greater understanding and wisdom. Many issues that cause us physical, emotional, or psychological distress can be understood as a loss of our experience of wholeness in our mind-body-emotion-and-spirit connections. When these aspects of experience are dis-associated, we lose the capacity for a full range of experience. Consequently, we are not able to tap into our own inner intuitions and of states of knowing that normally allow us to find the answers we seek to important life questions and decisions. Without the fullness of our self-experience, we are out of touch with ourselves. Two contributing factors to separation from our selves come from thwarted developmental needs and from traumatic or hurtful experiences. Developmental issues result when alterations occur in early attachment relationships that ultimately lead us to create limiting beliefs about our selves, our abilities, and the world. Early attachment disruptions, such as the experience of loss, shaming, or confusing responses from important people in our lives may lead to adult problems in sense of self and relationships to others. This is amplified further when there are unresolved traumas. Post traumatic stress disorder results from overwhelming experiences that are too painful to fully deal with . Traumatic experiences profoundly affect the body and may result in many physical and psychological symptoms. Prolonged suppression of emotions or negative thoughts can create physical discomfort, or predispose one to disease or pain in the body. Likewise, when one has physical pain from injury, resulting bodily tensions may contribute to a worsening of emotional well-being, as well as impacting physical functioning. Body-mind centered psychotherapy techniques strive to assist one in learning to trust the wisdom of the body and to live in harmony with it again. In the process of psychotherapeutic work, we explore inner processes by observing, and working with, our thoughts, feelings, and body sensations. We may study the impact of certain thoughts or feelings on the body, by observing sensory experience, breath, or movement. This allows one to deepen awareness of the impacts of emotions and thoughts on the body. By directing one to pay attention to mental processes and body sensation, Mind-body psychotherapeutic approaches can bring into conscious focus what has been stored in the body. This allows one to name and release painful or traumatic memories, unresolved emotions or pains and can bring new energy to bear for creative solutions to solve unsatisfying life situations. 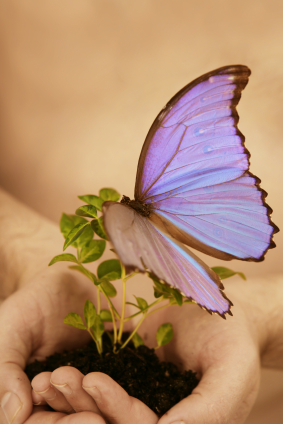 Psychotherapy and body work support this unfolding of new possibilities of experience and new ways of being in a greater state of wholeness and balance. One comes to embody one`s own experience again or for the first time. Healing is a joint awareness practice between the therapist and the person who has come for treatment. New meanings and opportunities for greater personal balance result.